The Netherlands settlement is the latest in a series around the world which has forced the company to shell out millions over regulatory breaches. Dutch prosecutors opened an investigation in 2015 into UberPop, a service that linked amateur drivers with customers through a smartphone application, after a local court ruling banned the scheme. Uber pulled the plug on UberPop in the Netherlands later that year in favour of other Uber services that use professional drivers. "Uber has agreed to a settlement of 2.33 million euros ($2.5 million)," the Dutch public prosecution service said. 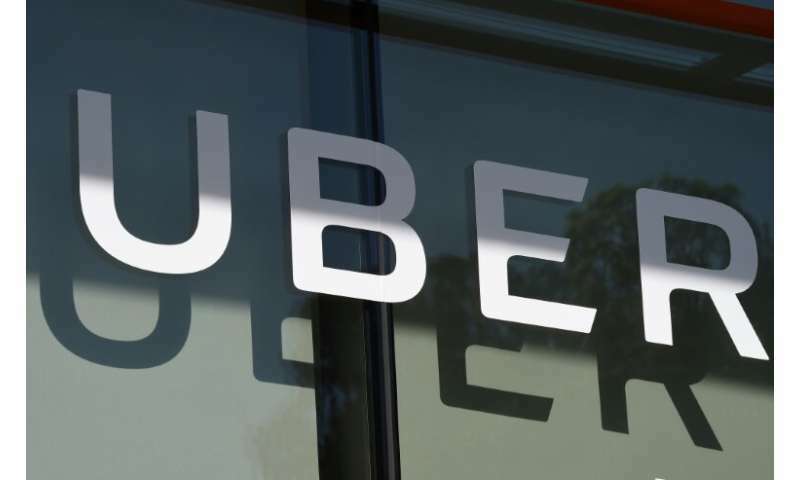 The sum consisted of a fine of 2.025 million to be paid by Uber and its subsidiaries "and criminal gains of 309,409 euros," it added in a statement. "Uber was providing an app for transport services whereby no taxi licence was demanded from the drivers, even though such a licence is a legal obligation," prosecutors said, adding that it also created unfair competition. In the Netherlands, taxi licences are only granted under strict conditions after drivers undergo approved training and submit a medical certificate, and vehicles must also have an on-board computer to check driving and rest times. The prosecution service said it saw the "payment of the out-of-court settlement as an appropriate settlement," adding that Uber "will now and in future conform to Dutch legislation". Last November the Netherlands and Britain fined Uber more than one million euros for hiding a huge data breach for more than a year. Hackers compromised customers' personal data from some 57 million riders and drivers worldwide in 2016, but Uber kept it secret until a year later. Uber also paid $148 million to US authorities to avoid a potentially embarrassing court case over the breach. In another blow to Uber, the EU's top court last year backed the right of France and other member states to ban UberPop without having to notify Brussels regulators. The Silicon Valley firm has been left with its UberX and other services, which uses licensed professionals in France, Spain, the Netherlands and other European Union countries. Uber, in a statement sent to AFP said it has learnt from its mistakes and "changed the way we do business across the world." The company said that since shutting down UberPop in 2015 "we only allow professional and certified drivers on the app" as well as having fully licensed its operations to comply with Dutch legislation.